Heat the oil in a large soup pot over medium heat. Add the chicken and cook until browned, about 5 minutes. Pour about 2 Tablespoons of chicken broth into a small bowl and reserve. Pour remaining broth into the pot with the chicken. Add corn, beans, tomatoes, jalapeno, cilantro, chili powder and cumin. Bring to a bubble, reduce heat and simmer covered for about 15 minutes. Add cornstarch to the small bowl with reserved chicken broth. Whisk with a fork to combine, then stir into the soup. Boil for about 2 minutes to thicken the soup. 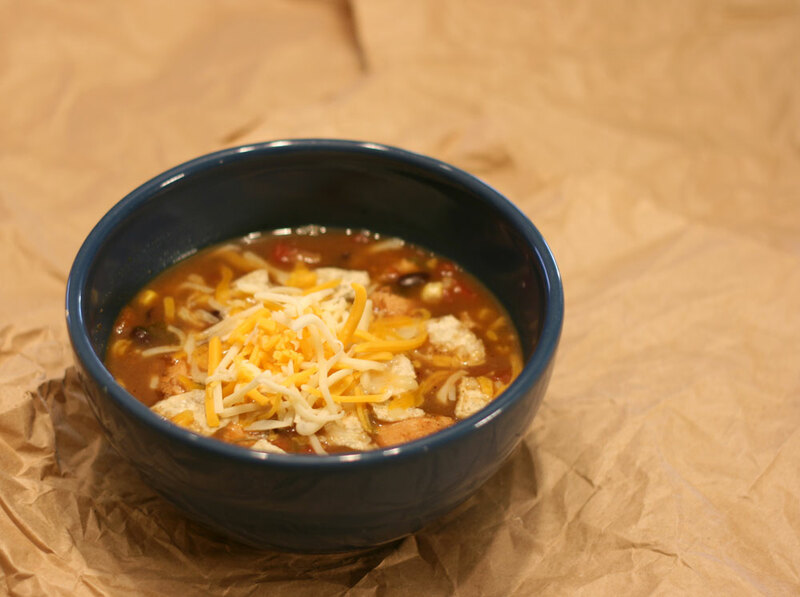 Top the soup with tortilla chips and cheese.